Developed to provide a Hebrew School education for children with special needs, this program focuses on engaging the child’s sense of identity and nurturing a sense of joy in their Jewish heritage. Students work on an individual curriculum with one-on-one volunteers. This enables students to learn at their own pace and allows us to accommodate varying levels of knowledge. 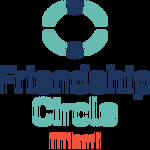 The Friendship Circle Hebrew School program is a partnership between The Sholem Epelbaum Chabad Hebrew School, the Ruderman Family Foundation, the Greater Miami Jewish Federation and the Friendship Circle Miami program. Registration for this program is through the Hebrew school on The Chabad of Kendall & Pinecrest website page. In the loving memory of Moshe Sholom Ben Yudel Dovid – Dr. Morry Fox. In the loving memory of Clayton Feig.